Our hours are from 9 to 5 daily. We are closed for Christmas and Thanksgiving. 2. Are you pet friendly? Our awesome redwood outriggers are excellent for pets. The canine models are specifically designed and made for people with dogs. and feature a padded hang out area. These unique canoes are extra stable and are the only human powered boats in the world that are made specifically for pets and their humans. Dress like an onion so you can peel off the layers when it warms up, or put them back on if it cools down. Fleece and a windbreaker works well. We loan out complimentary dry bags on request. Reservations are offered seasonally and only for paddle-craft. During fall, winter and spring boats may be reserved beforehand. This period lasts from the day after Labor Day through the start of Memorial Day weekend. First come first serve and no reservations are in effect from the first day of Memorial Day Weekend until the day after Labor Day. Exception: Parties of 8+ may reserve year round. 5. What boat(s) should we rent? We offer several options including kayaks, canoes and SUP’s. Our speciality are the locally made redwood outriggers. Designed and created especially for Catch a Canoe from reclaimed redwood barns. Ultra-stable yet narrow and efficient, these beautiful canoes provide a safe and special experience while exploring the undeveloped Big River Estuary. Different models accommodate couples, families and pets and can seat from 2 to 7 paddlers. 6. What’s the best time to go? Yes with the following provisions: Children must be at least 10 years old to rent a bike and minors must be accompanied by an adult. For boats, toddlers must weigh over 30 pounds and be at least 2 years old for outrigger rentals. For kayaks, traditional canoes, or SUP’s, children must be at least 10 years old. 8. Can you accommodate groups? Groups are limited to 30 persons total. The boats we have available for groups are our larger redwood outriggers which hold between 4 and 7 people each depending on the model. These big stable outriggers are lots of fun! The contact person must arrange the reservation ahead of time with a phone call and a credit card guarantee will be taken at that time. Please call Catch a Canoe at (707) 937-0273 ask for Rick the manager. 9. Do your rental bikes have child carriers? We do not offer child carriers or bike trailers for children. This is due safety concerns on highway one. We reccomend the safe and secure redwood outrigger canoes for parents with toddlers 2 and over who weigh at least 30 pounds. 10. What weather should we expect? Summer time highs range from about 60 to 75 degrees, while wintertime highs are usually in the fifties. The California rainy season is from November through April and rain may happen, but we remain open for those who don a rain jacket and want to get out on the water. Other times of the year it may be foggy on the coast and clear upriver to the east. Hot tip—canoeing in the rain can be a magical experience! 11. Do we need experience? None of our rentals require prior experience. That being said, the redwood outriggers are the easiest and safest watercraft for beginners. 12. Where can we ride the bikes? The Big River Trail begins directly across from our location. This is where 95% of our bike renters choose to ride. Besides being a gorgeous path through the Mendocino Headlands State Park, it’s 10 mile length, gentle rolling terrain and close proximity to our facility makes this the trail of choice. Detailed maps are available at our shop. 13. Are you a part of the Stanford Inn? 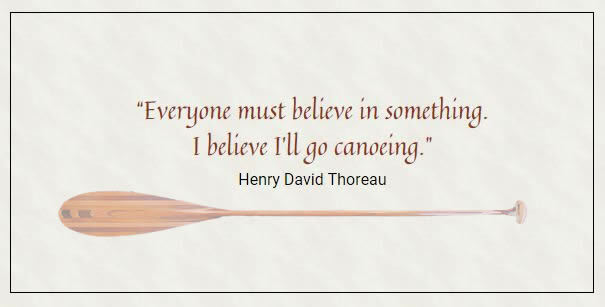 Yes, Catch a Canoe and Bicycles Too has been a part of the Inn since 1982, even though the general public is also welcome. Bikes are complimentary for Inn guests during their stay, while boat rentals will be charged the going rate. 14. What can we bring on board the boats? Food and non-alcoholic beverages are permitted. And of course any clothing and tech gear you’d like. Cell phones will get service upriver if your provider is Verizon or US Cellular. Please refer to our rate page. 16. Are rental boats allowed in the ocean? Our rentals are for use exclusively on 8 mile long Big River Estuary. The highway one bridge is the westernmost limit. to the east the limit of navigability is the end of the estuary. If you’re traveling by bicycle mosquitoes may be encountered when you come to a stop during the spring summer or fall. If you’re renting a boat you’ll find that mosquitoes typically don’t venture out over Big River. 18. What time do the rentals need to be returned? All rental boats and bikes must be returned by 4:45pm to avoid substantial late fees. 19. Do you offer overnight rentals? For boats we do not. This is because all of Big Rivers adjacent lands are part of the Mendocino Headlands State Park system. Camping is only allowed in designated areas with facilities available. It may be possible that sometime in the future, boat in campsites will be offered—we’re working on this with State Parks. Multi-day bike rentals are available, please inquire. 20. What type of pedals are on the rental bikes? We use platform pedals exclusively. If you ride with clipless pedals and want to bring them and your shoes with you, we can perform a pedal swap before and after your ride. There is a $10 charge for this service. 21. What kind of bikes do you rent? $750 retail hard-tail mountain bikes, (2) full suspension bikes and also comfort bike hybrids — all of which are from Cannondale or Trek. 22. Can we bring our pets on a bike ride? We do not offer pet carriers of any kind, we have found this to be unsafe. If you’d like to bring your pet along please consider our amazing dog friendly redwood outriggers! 23. Is paddling up Big River in a redwood outrigger the best experience I can have on my vacation?